In an alternate evolutionary scenario, the asteroid that slammed into the Earth some 66 million years ago to create the Chicxulub crater, enshroud the planet in a decades long “nuclear winter,” cause the extinction of non-avian dinosaurs, and bring about the rise of the mammals never happened. The large dinosaurs grew bigger, more competitive and fewer, leading to the virtual extinction of all their smaller cousins and competing mammals. Then, in a further evolutionary twist, a handful of ultra-dinosaurs developed and all but wiped out the large dinosaurs, leaving only a scattering of small dinosaurs and mammals to survive across a gutted planet. The somewhat flawed analogy here is to bookstores. When I was growing up, and aside from paperback book racks in every drugstore and mom-and-pop bookshops, small, medium and large bookstores abounded. Then came the book chains—the Pickwicks, Crown, B Daltons, Borders, and Barnes & Nobles. Following Marx’s inescapable logic of capitalist competition, the bookstore chains grew and competed and killed each other off, until only two monopolies remained; Borders and Barnes & Nobles. In the process, virtually all the smaller bookstores disappeared or were done in. When I last visited NYC, Barnes & Noble was on every other block, and bookstores like Forbidden Planet had been unceremoniously killed off. 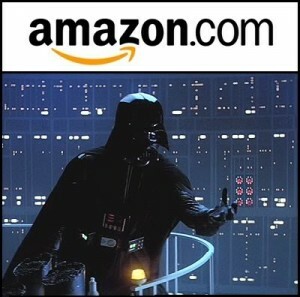 Then, Amazon, the mega-monopoly, arose. Borders bit the dust, and sickly Barnes & Nobles is holding on by a thread. In the cracks left by this “free market” debacle, there are still small bookstores left, but they are non-existent in some places, and few and far between in other locations. So now we’re in the present, both here in San Francisco and in Paris. Paris first. 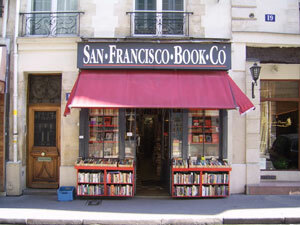 As I posted below, there are three well-known English-language bookstores in Paris, and the San Francisco Book Company has kindly provided this link to a list of some 240 plus bookstores in the 6th Arrondissemont alone. 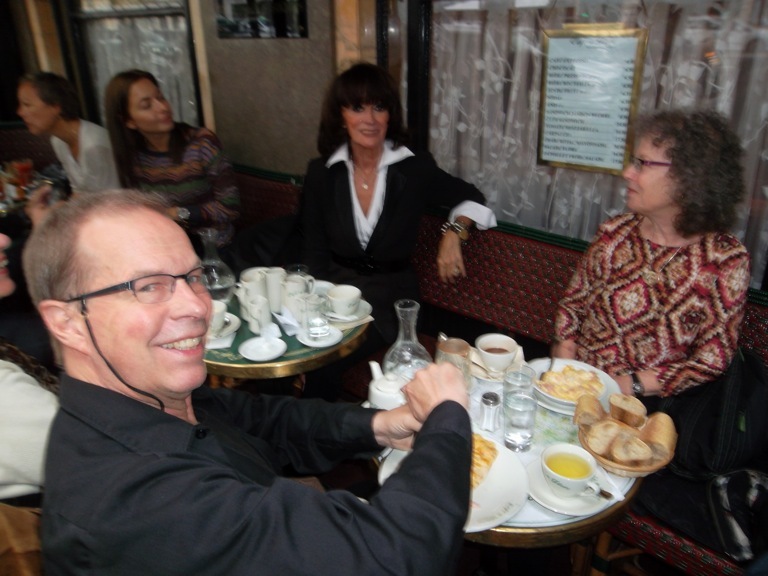 In Paris, France, where the bourgeoisie rose to power and ushered in modern capitalism, chain bookstores are held at bay and independent bookshops of all sizes and shapes are alive and well. Not so in San Francisco. Borders is gone, and Barnes & Noble has been reduced to four stores scattered in Bay Area cities immediately surrounding San Francisco. In the process of the demise of these two monopolies, a number of other local independent bookstores went belly up; Stacy’s, Clean Well Lighted, Cody’s… Amidst the carnage however, small indie bookstores have survived and some still thrive in the Bay Area. In my three neighborhoods, three bookstores of note pursue differing strategies for survival. In the Haight, and aside from the very limited, anarchist specific Bound Together Books, there’s Booksmith. 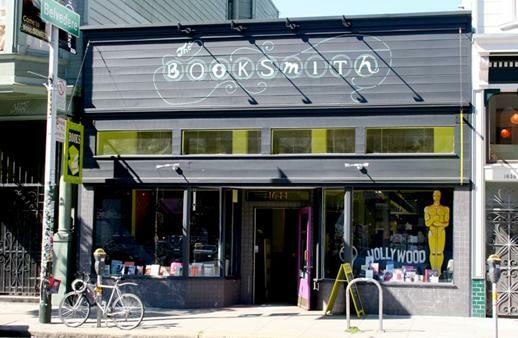 Booksmith is a full-service, full-hour, full-inventory destination bookshop that is a wonder to browse. It’s a stand alone bookstore with book events, author signings, literature readings, etc. Phoenix Books in Noe Valley is part of a small, local, one-owner chain of used bookstores that also sells new books. This indie chain includes Alley Cat Books, Badger Books, and Dog-Eared Books. 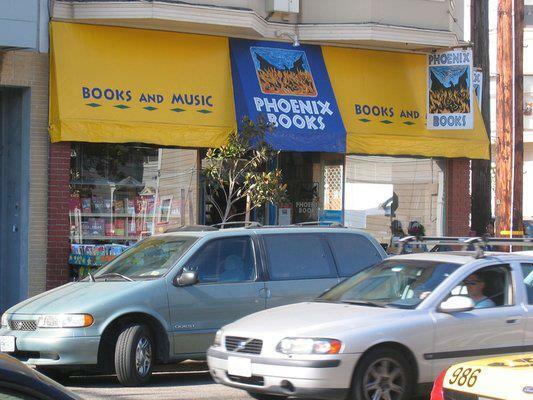 Phoenix survived the death of Cover-to-Cover and the Mystery Bookstore in Noe Valley and was recently sold to a local buyer to keep the rest of the chain solvent. Unfortunately, Zoltar, the gypsy fortune teller, will not be staying. Finally, there’s Books, Inc in the Castro/Eureka Valley neighborhood; gay-oriented, but still very much a full-service bookstore that weathered the death of A Different Light bookstore. Books Inc is an example of a mini-chain that is bigger than just San Francisco. Bay Area wide, Books Inc is a regional success story, with stores at SFO, the Ferry Building and surrounding cities, that hasn’t gotten too big for its britches. It also has book events, author readings and signings, and the like. 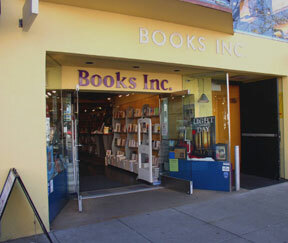 Books Inc is part of IndieBound, a consortium of independent bookstores which uses Kobo, the ebook reader as an alternative to Amazon’s Kindle and Barnes & Noble’s Nook. I own a Kobo, and I’m proud to support local, independent bookstores.